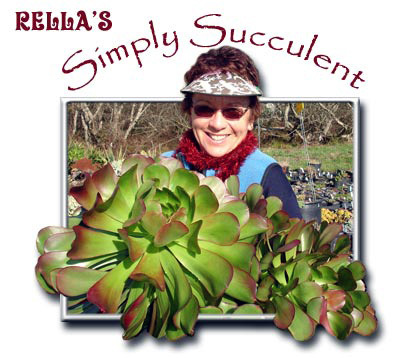 Simply Succulent is a retail nursery owned and operated by Rella, a Mendocino Coast resident of 35 years. 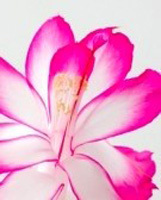 A full range of succulent plants are available for the hobbyist, gardener & landscaper. Succulents are from many plant families and are robust & carefree growers. Most of the 35,000 plants are propagated on site. 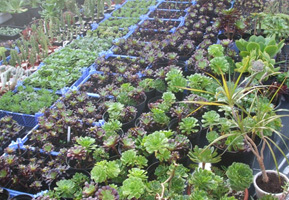 There are very small to very large water thrifty succulents, grasses and other drought tolerant companion plants in a wide variety of colors and textures. Succulents are the ultimate water conservationists. Rella is enthusiastic about her plants and nursery and offers much wisdom and experience to people "growing their relationship" with the succulent and native grass world. Ask and you shall receive. One San Francisco Bay Area patron describes Rella's nursery well. She states, "Rella has a big inventory of succulents which includes great aeoniums, lots of beautiful dudleyas, huge flowering epiphyllums, lots of crassulas, aloes, agaves as well as exceptional sempervivums and absolutely incredible sedums of so many colorful varieties! I have never seen such a great selection! I was gaga over her sedums! I brought home 3 trays of her plants back to the Bay Area." She continues, "Even Ray Stephenson author of Sedum: Cultivated Stonecrops, visited her great nursery and so enjoyed her huge selection. She has obtained some very hard if not impossible sedums to find elsewhere thru this contact as well as an international sedum group membership. The beautiful colors, amazing textures and amazing variety will make you go nuts for sedums! Beware! Sedum collecting can be an addictive habit." 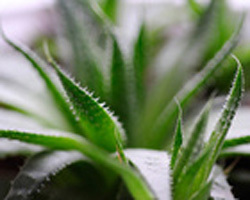 Simply Succulent also carries great succulent companion plants such as cactus, yucca, agave, nolina, puya, and phormiums among others as well as a selection of pots. Already planted up succulent pot gardens are great as gifts or just to look at to get ideas for your own creation! Rella also sells her own potting soil that her succulents thrive in. Well there you have it! DRIVING DIRECTIONS: The nursery is now located at 31250 Highway 20 which is 1.8 miles east from Highway One. It is on the north side of the street. The home in front is neon lime. The nursery is in the back acre so folks need to drive all the way back for parking and the entrance to the nursery. Rella has expanded her stock to include many flowering plants good for nectar and thus good for bees and butterflies. The common theme among all of the plants even if they aren't succulents is water wisdom. Price range from $3.50-$125.00. Plants can also be rented and there is a selection of greenhouses that are long lasting, insulated and have convection flow vents and locks to keep the critters out. Companion Plants in a Variety of Colors and Textures.